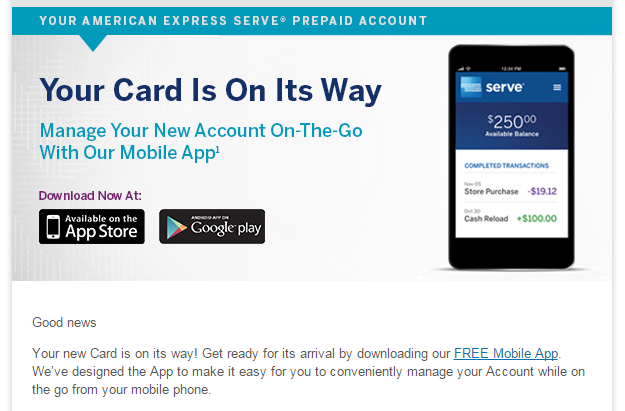 My Amex Serve card is on its way! I received an email that told me that Amex Serve card is shipped out. A few days ago, I closed Redbird and re-applied Serve. Here are the posts about the background of this event. Probably, I will be able to receive the card next week. If it arrived before 26th, I will be able to do five online reloads. As for in-store reloads, I’m not worried because I need at least 2 days for $5000 reloads. Currently, there are five $200VGC and three $500VGC waiting for being swiped at Walmart ATM. And one $400VanillaVGC is to load at Family Dollar. 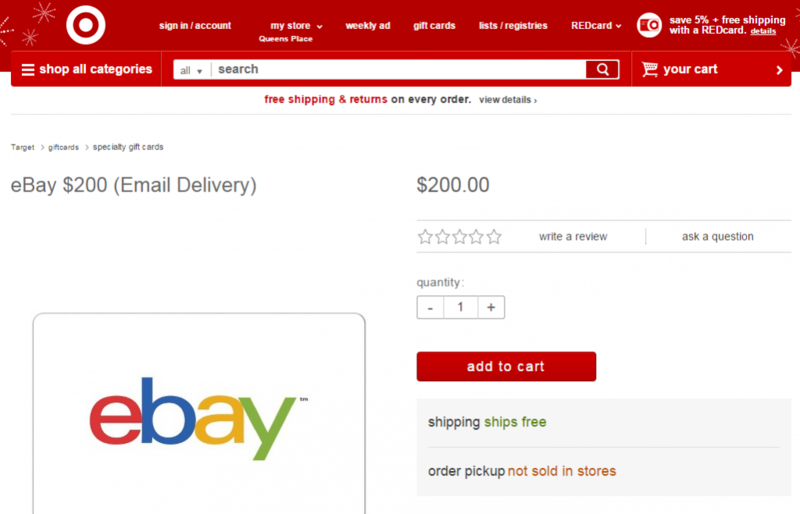 Two more $200VGCs will be added through Staples Easy Rebate next week. I also need to buy two more $200VGC at Bed Bath and Beyond to redeem fully 2nd category bonus of Chase freedom. It’s $3700 in total. For the rest ($1300), I will buy VGCs at BBY or supermarket and use PayPal Business debit card directly. The last transaction of Redbird just completed. It was a withdrawal of remaining balance to my bank account. It appeared in my bank account history. So, I logged in Redbird account for the last time to close the account. I used to have Serve. I closed last year to open Redbird. The way of closing Redbird is the same as Serve. You can find a button for closing all the way down in Profile page. Choose a reason for closing and left some note. Just like Serve, Redbird showed this crying face. Soon, I went to Serve.com and finished a registration. They sent an email with a link for verification. After the verification, I can log in my Serve account. I tried to do some things, but nothing is possible until activating the card. They give this message in all pages. According to the email, the card will arrive in 7 to 10 business days. There are a lot of things to do after the card arrives. Link PayPal Business Debit card – I have two cards. One is linked to my PayPal account that balance is always zero and set PP Extras credit card as a backup funding source. I couldn’t use this one for online-reload of Redbird. I was able to link, but the transaction never went through. So, I have been using the other one that is linked to another PayPal account in which always have some balance. It may be the same result, but first I try to use the first one for Serve because I could get a reward from not only PP debit card but also PP credit card. Load VGCs from Staples, BBY, BBB, and supermarket – All these are issued by MetaBank. You can register your name, address and set PIN as you like. There is no worry of decline when you load at Walmart ATM. Load VGC from Target – It has the same features as Vanilla VGC. 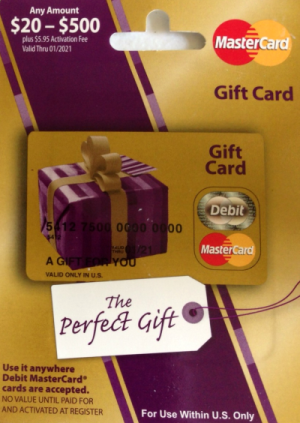 It charges $6 purchase fee per $400 denomination card. The fee is a little more expensive than $500VGCs, but you can buy it online with any payment methods except for TargetGCs. Since it is a Vanilla VGC, you can’t use for reloads at Walmart. But you may be able to use at Family Dollar. When I had Serve (first one before opening Redbird), I had loaded with Vanilla VGCs sometimes. I need to check if it still works. Check Amex Offers – Currently, I can’t see any offers. The message is here, too. I need to activate the card first of all. That’s all for now. Among three Amex prepaid cards (BlueBird, Serve, and Redbird), Serve is the only one with which you can link credit card for online-reload. 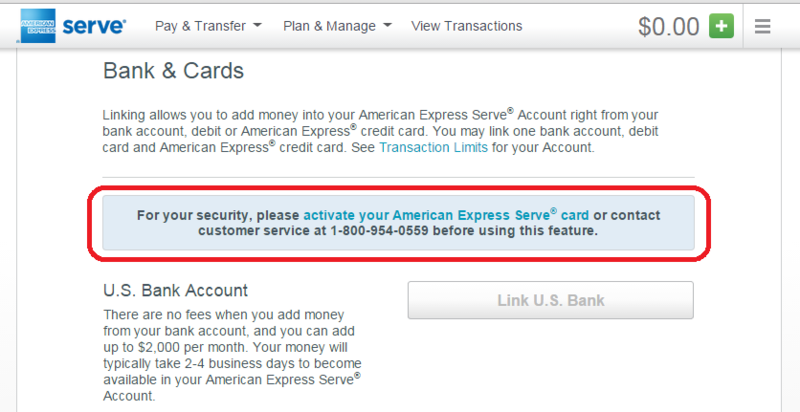 But a card has to be Amex, and Amex-issued credit cards can’t earn a reward through online-reloads. To earn a reward, you need a non-Amex issued Amex credit card. And I don’t have it yet. I am going to apply Fidelity Amex credit card in a near future. I hope the card arrive soon so I can have enough time to load fully this month. We wanted to let you know that you will no longer be able to load your Target Prepaid REDCard® by American Express at Target stores with a Target GiftCard or a non-Target branded credit card. 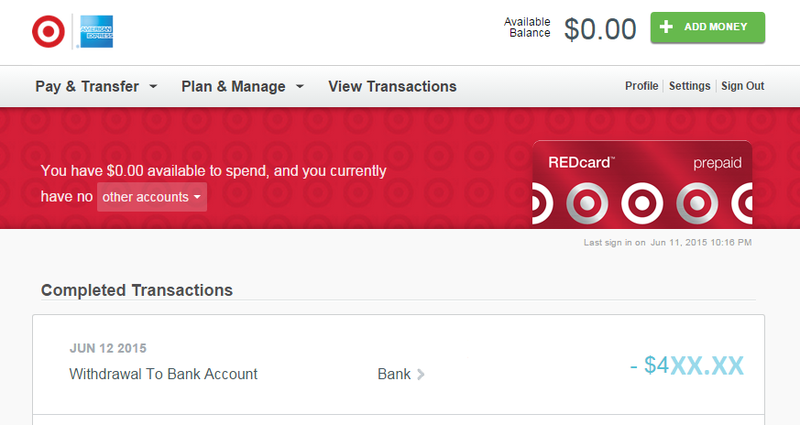 You can continue to load your card with cash or debit at Target stores. You can also add money to your Target Prepaid REDcard® by American Express online through direct deposit or transfer from your linked debit or bank account. 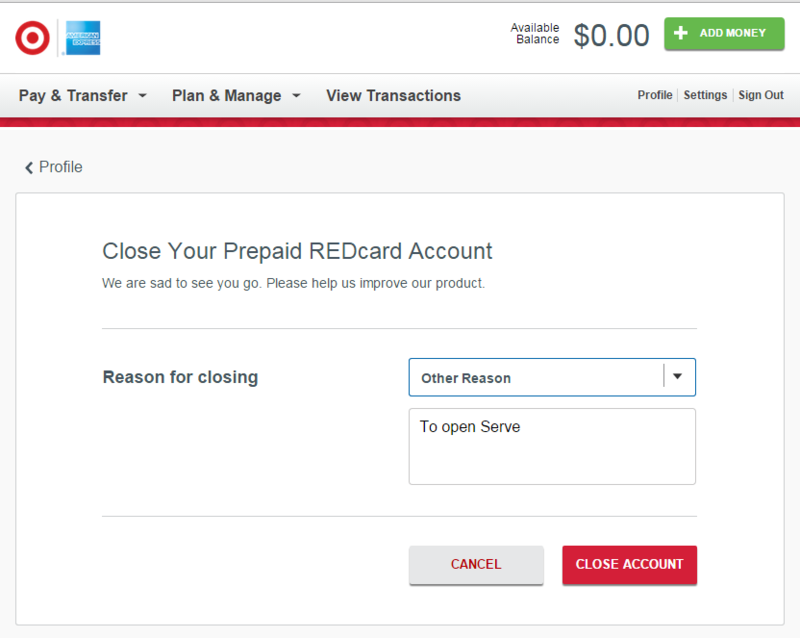 For more information about your Target Prepaid REDcard® by American Express, click here. At a glance, my first thought was that they banned me from in-store reloads. But I continued to read,and found that it was just about a change of rule a month ago. I checked other blog posts and forums to confirm that it was sent to all cardholders. A reason I was scared at first is current status of my Redbird. I have loaded $5000 in store and $1000 online last week. And this week, I rushed to unload by spending normally, paying bills. 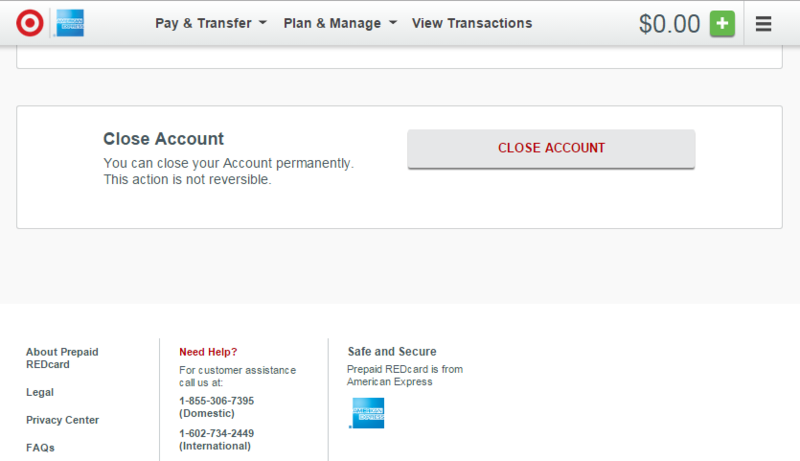 Then, yesterday I withdrew to my bank account to make the balance zero so I can close Redbird. Target stores in my neighbor (NYC) don’t accept prepaid debit cards. So, I needed to go to Nassau County for reloads since the change. And surprisingly, even two stores in Nassau didn’t accept prepaid cards. I used PayPal business debit card in those stores. (my local stores don’t even accept PP business debit card.) These are enough reasons to switch back to Serve so I can load with prepaid cards at Walmart ATM. Click here for details. 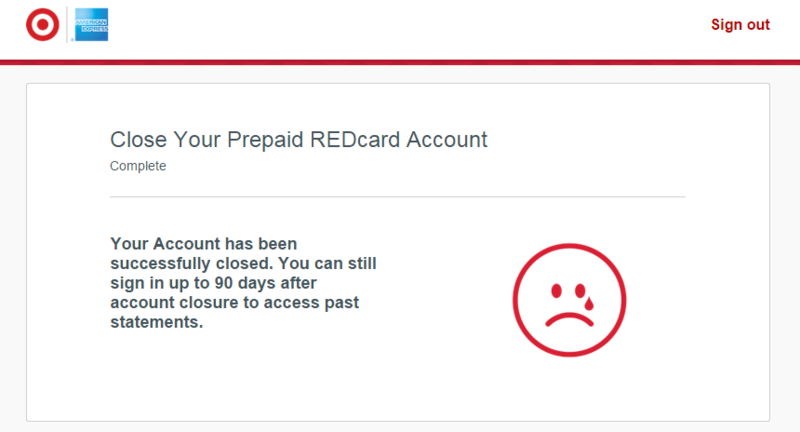 ……you will no longer be able to load your Target Prepaid REDCard® by American Express at Target stores with a Target GiftCard or a non-Target branded credit card…..
Target GiftCard? You weren’t able to use Target gift cards for reload from the beginning. non-Target branded credit card? It sounds like that you could use Target credit card for reloads, but I doubt it. That’s because the system doesn’t allow to use credit cards for reloads. Even if you can use it, there is no benefit by doing it, anyway. I received another email. It is almost identical to the first one, just replacing “Target Prepaid REDcard” with “American Express Target Card.” What is Amex Target Card? When I saw “account ending xxxxx” in the email, I noticed this email is regarding of “American Express for Target.” The change from last month has been applied to Amex for Target, too. But I didn’t care. I used this card for a month or so, then I found it useless to me. I haven’t been using ever since. 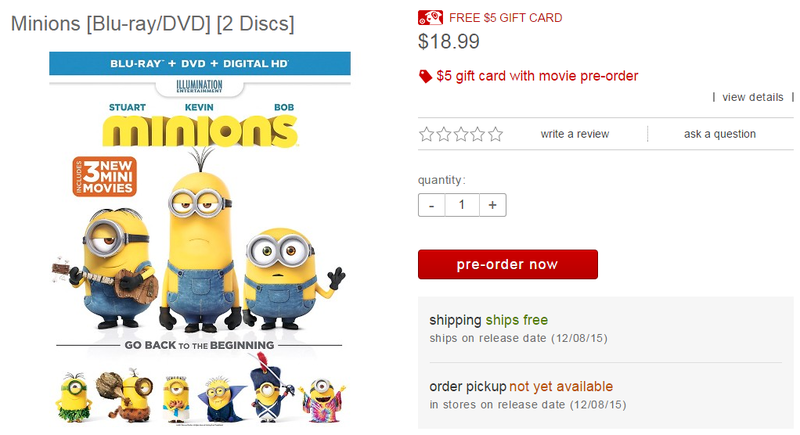 Did they change the name of the card, Amex for Target to Amex Target Card? …. I don’t care that, either. Now, I am waiting for the last transaction of Redbird to complete. As soon as it completes, I will Redbird and open Serve.